The URugby Sevens tournaments are generally inter-conference collegiate sevens tournament. URugby Sevens Virginia Beach is also known as the American Collegiate Rugby Championship Sevens (ACRC 7s). URugby also coordinates a collegiate rugby event in the Philadelphia area. Collegiate spring sevens tournaments fills an important niche for college teams looking to expand opportunities for rugby sevens. For most events A, B and developmental teams are invited to compete for hardware and glory. 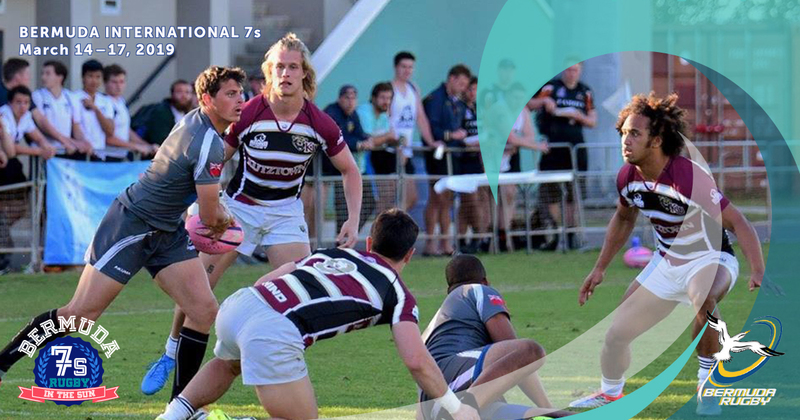 The tournaments are managed by URugby, a division of Sevens Sports LLC, a sports event management and marketing company specializing in creating great experiences around the sport of rugby. Your team must be registered and paid in full to participate in the tournament. Walk on teams will not be accommodated. Please register online at www.urugby.com, or coordinate with someone from the tournament staff listed above for payment. Refunds will not be given for teams that cancel within 45 days of the tournament. A cancelation fee of $500 will be imposed on the teams that have registered and do not show up for all matches on all days of the tournament. Games will start promptly at the designated time or as scheduled often on both Saturday and Sunday. Brackets, kickoff times, field locations and the schedule are posted online at a minimum two days prior to the tournament. Field maps, kickoff times and locations are posted online and available at the main tent at the field. In the event that you are running late, please reach out to a member of the tournament staff and inform them that you are running late as well as the reason. If you arrive late to the pitch, you will most likely forfeit your match. The brackets for day two of an event will be announced as soon as possible on the URugby website and at a designated location. Pop up tents are normally permitted and recommended. Parking specifications must be observed. Those who do not park in appropriate areas may be subject to being ticketed or towed at vehicle owner’s expense. In most instances there will be concession areas serving food throughout the day on Saturday and Sunday. Water will be provided on the sidelines. Pets must be leashed and under control at all times. You are always required to “scoop the poop”. Check for areas where pets are not permitted. Often alcohol is served in stadium venues. Smoking and the use of tobacco products is not permitted on or near the fields or stadium. T-shirts, tournament balls, and pint glasses are usually available for purchase at the event and online when available after the event. Credit cards will be accepted online and on site. In the event of lightning strikes being seen or reported in the area, play will be suspended and all those present at the venue must get into a car or designated area until further notice. Do not go under trees or in open spaces. Play will resume 1/2 hour after the last sign of lightning. There will always be licensed medical trainers onsite for injuries. Often teams are responsible for providing their own trainers for taping. There will NOT be an ambulance on-site throughout event. In the event of an emergency, please call 9-1-1. The closest hospital and urgent care facilities will be designated. The games are scheduled 18, 20 or 25 minutes apart and we will be ON TIME all day. Timeliness will be strictly observed. Our tournament rules are structured to maximize the percentage of the match time that the ball is in play. All games, on all fields, will begin exactly at the appointed time. Game timing will not be left to the referee to enforce, though the first referee whistle after the final siren ends the half or game, NOT the siren. Two siren sounds will signify that the tournament will begin in five minutes. At the sound of one siren, loud enough to be heard by everyone at all fields, all games will commence. Seven minutes later, half time begins at the whistle following the siren. Two minutes later, the second halves commence. And seven minutes later, all games end at the referee’s whistle following the siren. Tag your tweets, Facebook and Instagram #acrc7s and follow us on social media all weekend. Feel free to also use #URugby7s if the characters allow. If teams would like to have a game taped or highlight reel produced, please contact Stephen Siano, siano@sevenssports.com, 610-389-4474 for pricing.